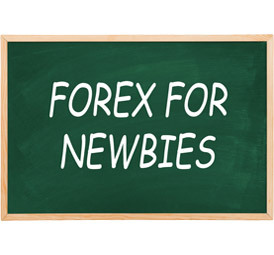 Yes, I would like to be on The Forex Guy's awesome newsletter so I don't miss out on updates regarding: New Forex Tutorials, New Live Trade Videos & New custom Forex tools, or updates regarding new tools, or improvements to existing ones. 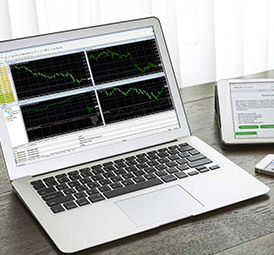 Want Access to My Powerful Tools That Break The Boundaries of MT4 & MT5? 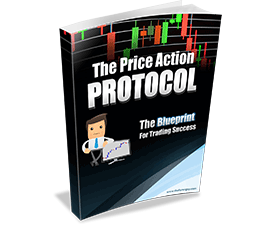 Create Price Action No One Else Has Access To! 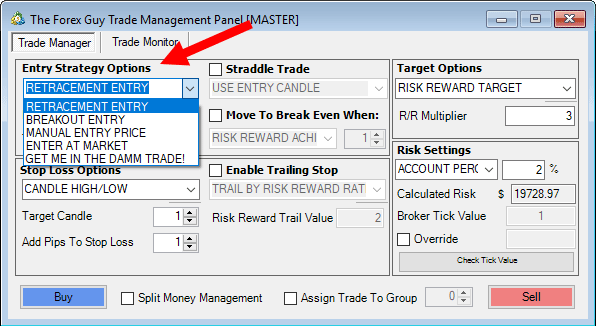 My trade management panel has an array of built in entry/stop loss/target templates ready to go out of the box. 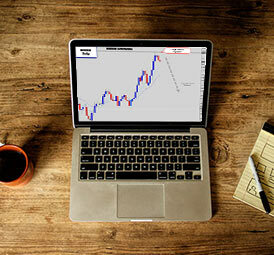 Set up your trade orders with a simple click of a buy or sell button. The Trade Panel will calculate your stop loss, entry, order types, targets etc - based off what options you select. It is really easy! The lot sizing calculations are taken care for you. The panel will calculate the correct position size to make sure it is risking the dollar amount you told it to. If your trade doesn't work out, you know exactly how much you should lose, and if your trade does hit target, you will know how approximately how much the trade made. 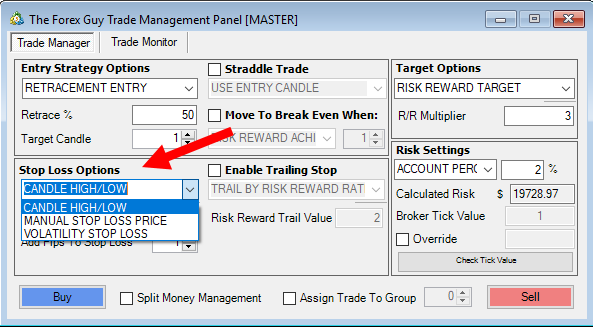 There is also a set of post trade management options like: trailing stops, break even stops, 'order cancels order', and even my own 'order cancels group' system. The trade panel gives you a selection of entry strategies, and will automatically calculate the entry price for you in the trade order. Entry options include: candle retracement percent, or a break of the previous candle high/low, or do an OCO combo with the 'Get me in the Damn Trade' option. A few stop loss options are available. 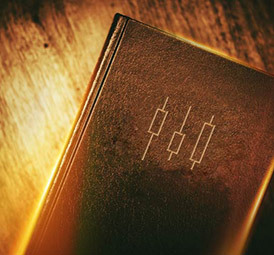 Enter your own, or get the panel to place your stop loss above/below a specific candle to target a swing high or low. Another option is a 'volatility stop loss', which calculates the stop loss size based off recent market conditions! It's a really cool feature. You can specify how many multiples you want of it too! Add some points to your stop loss as extra an extra buffer if you feel you need it. Targets work in a similar way - the most popular being target set by a risk/reward value. This is where some of the tedious work is taken off your hands. 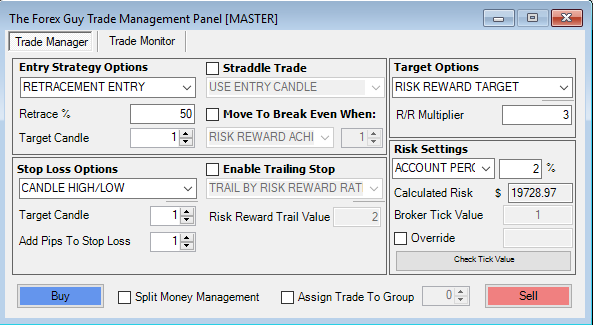 The panel calculates where your target price should be placed to give you X times return on risk (you set it). 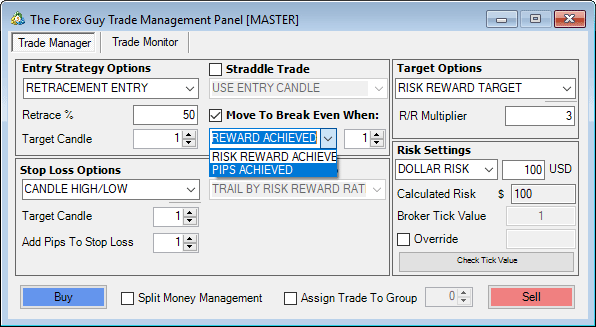 For example 3x risk/reward (if you tell the panel to risk $100, a target will be set where your trade returns $300). Finally No More Lot Size Guessing - The Panel Does it for You! Who wants to keep pulling out the calculator, and working out your position size every time you want to place a trade? Even the online calculators are annoying - you don't want waste your time filling out tedious web forms each time you need to know what your lot size should be! 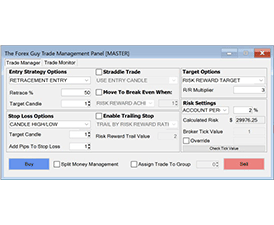 The Trade Panel auto calculates this for you as part of the simple one click trade setup. 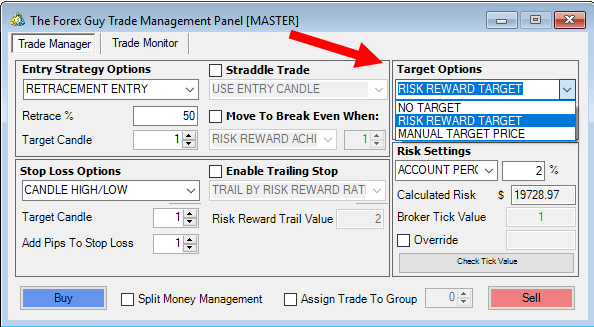 Use the risk settings section on the panel to allow you to specify how much you want to risk into a trade. Set a percentage of your account, or put in a specific dollar amount for your trade. Let's face it, the standard trailing stop built into MT4/5 is pretty underwhelming. There are many cool ways to trail your stop loss! Instead of sourcing out other tools to do this for you, the Trade Panel saves you this inconvenience by having these awesome trailing stop features built directly into its standard kit. 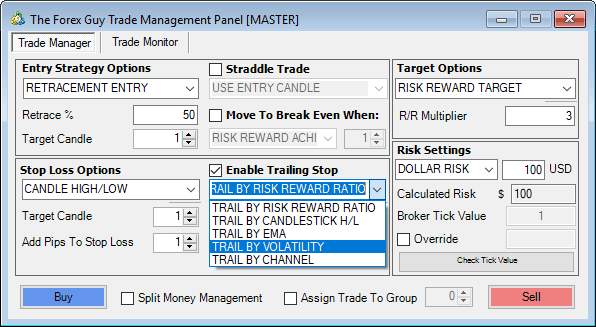 Trail by risk reward, candlestick high or lows, or even by a moving average or Donchian channel boundary. The panel even has a volatility based trailing stop, which changes the trailing stop loss size dynamically as the market volatility changes - this one is really awesome! Do you need a tool that will move your stop loss to break even automatically when you're not at the computer? The Trade Panel has got you covered here too, with specific break even conditions you can set when you enter the trade. Once one of the pending orders is triggered in the group, then the panel will delete the untriggered ones. Maybe you see multiple signals across multiple charts, but only want to enter one of them. This OCG functionality will allow you to place pending orders on all the trades you like - as soon as one is triggered, the rest are canceled automatically. The last thing we expect is a computer crash, or a power out situation that ruins our saved data! Most trade management programs are not able to restore themselves if they are closed. However, my trade panel does! When you place trades, it auto saves its state, so if for some reason you need to close it - it will remember what it was doing previously when you reload it. MT4 is a bit like a crocodile - been around since the dinosaur age, but survives to this day. MT4 is still, after many years, the industry standard. All Forex brokers offer MT4, and the community backing it is very very large. But, MT4 lacks certain features that us price action traders would love to have (especially swing traders). 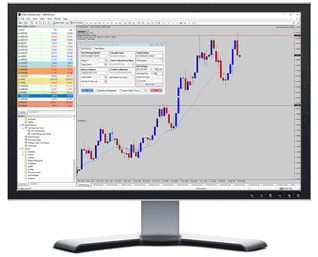 My Custom Chart Builder breaks the confined workspace a default MT4 puts you in, unlocking a vast array of new charts for you! 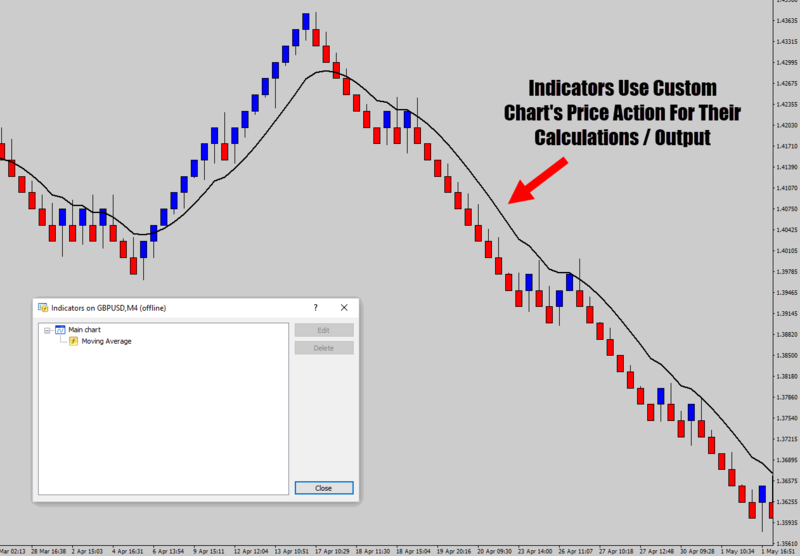 Many of these charts generated by the Custom Chart Builder will give you access to such unique price action, many other traders simply don't have access to. WOW! For scalpers, and day traders - there are plenty of time frames to choose from. But, for swing traders, we have the H4, Daily, and weekly... what about all the possible time frames between the 4 hour and the daily? Another restriction MT4 binds you to is when the candlesticks open and close. 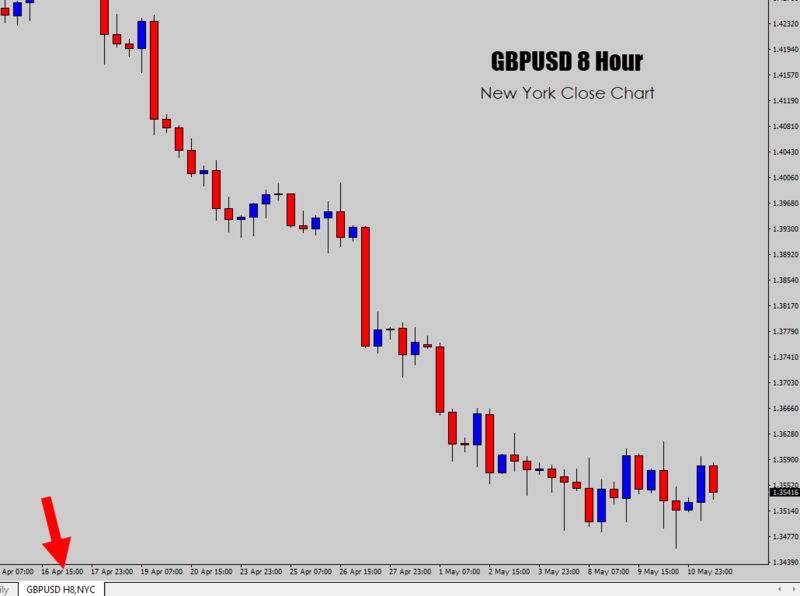 This is why many Forex traders chase brokers who provide a New York close data feed, because it's the most popular format, and something you don't have control of within MT4... until now. When you set up your custom charts, you can specify on the panel when the candles should open/close. We all know about New York close charts, but have you ever seen a London open chart? 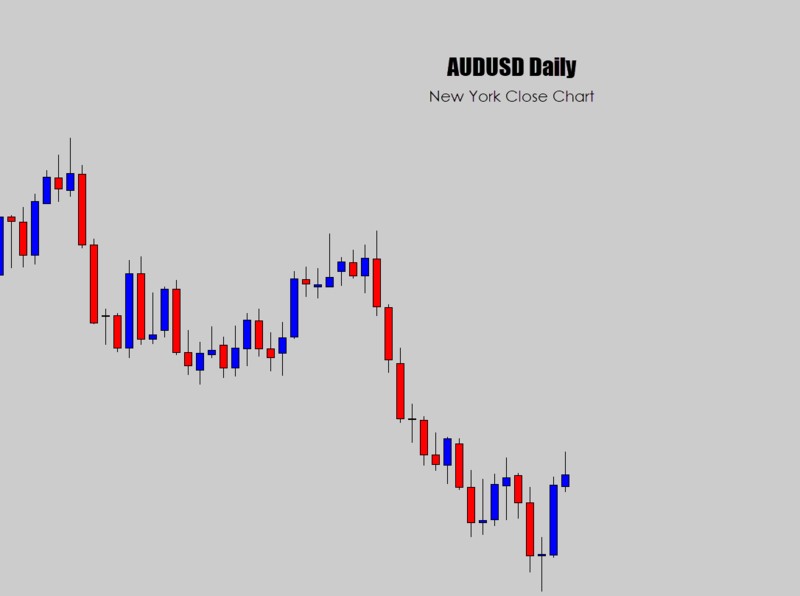 Notice how we're looking at the same market, but the candlestick are orientated differently depending on which perspective we look at them by - a New York close perspective, or a London open perspective. London open charts could be a step up how we read price action for breakout style strategies! Renko charts are an amazing type of price action format, which don't rely on time to print a new candle. 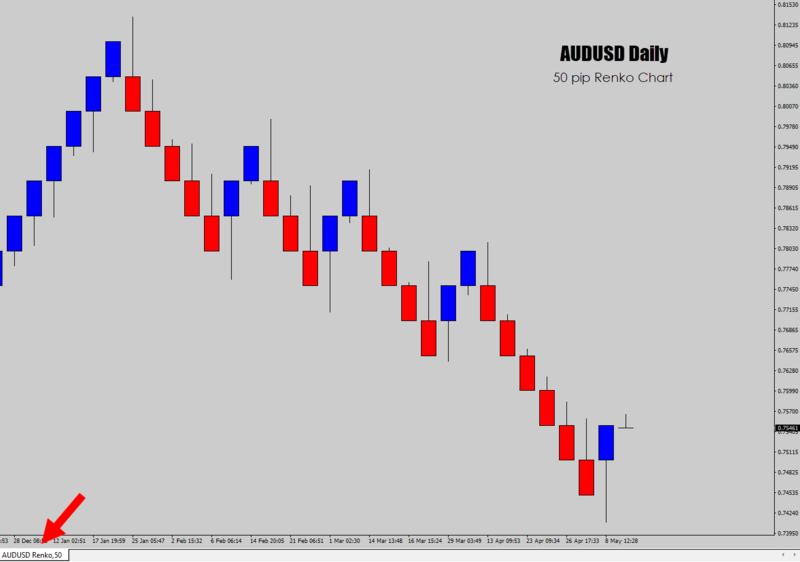 Instead, the criteria for new renko candles is when the market reaches X pips higher or lower beyond the previous renko candle open/close - and you specify X.
Renko charts gives you this 'block' kind of price action, which makes it really easy to read market structure, and spot support and resistance. You can generate a whole list of your favorite renko charts, and build real, raw, live renko charts. 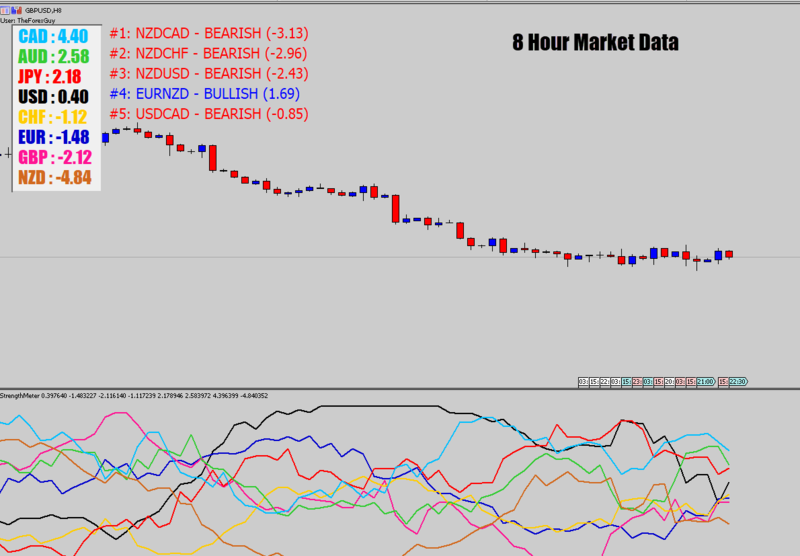 Although they are considered 'offline charts' within the internal MT4 system, the Trade Panel keeps pushing new market ticks, and updating them to emulate a live chart. If you save your workspace, the builder will remember all your support and resistance lines, and everything else on your Renko charts for future re-loading. Heiken Ashi charts are derived from an averaging algorithm; You could think of them as 'averaged candlesticks'. It causes the candles to highlight trends vividly - making them very applicable to momentum trading, like trend following systems. 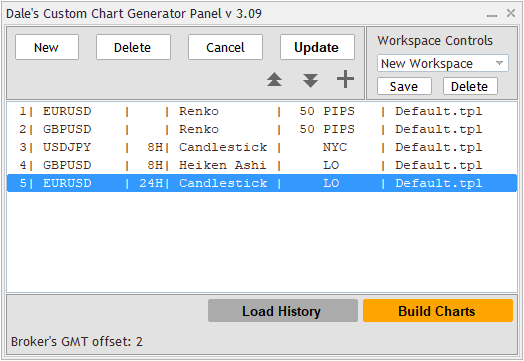 If you're using Heiken Ashi right now, or would like to try them - you won't find a more powerful Heiken Ashi creator than my Chart Builder software. 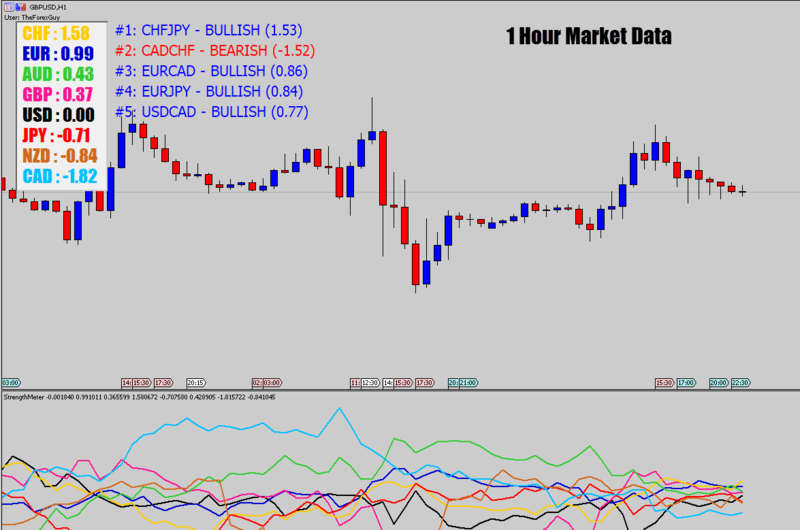 Build custom time frame Heiken Ashi charts, choose what time the candles open/close (like a London open HA chart), and also have the benefit that the Chart Builder draws real HA price action, so your indicators and expert advisors work directly from the Heiken Ashi price action! It also remembers where you plotted support and resistance levels and the indicators you’ve used as well as their settings, all you have to do is use the workspace save/load feature. What other Heiken Ashi tool could do that? 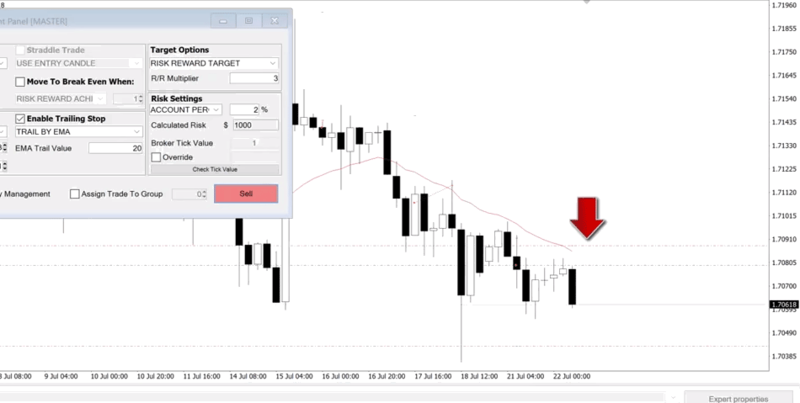 One of the best features of the Chart Builder, is you can build all of your custom price action from one location! 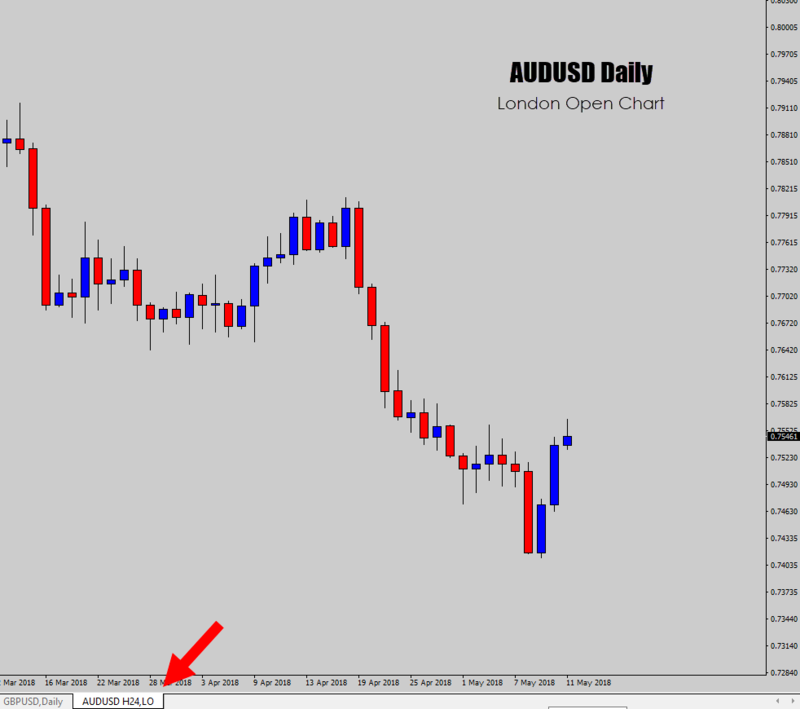 Many other custom chart builder tools require you to load scrips onto a 'mother chart' to allow them to output the desired secondary custom chart. This is no good, because if you wanted 10 specific renko charts, it means you need to have 20 charts open. This is not ideal, and creates a really cluttered, and frustrating workspace! The Chart Builder lets you create a list of all the various custom charts you desire from one location. Throw away those other tedious tools, the Chart Builder is a no fuss way to build price action that you normally can't get from a standard MT4. 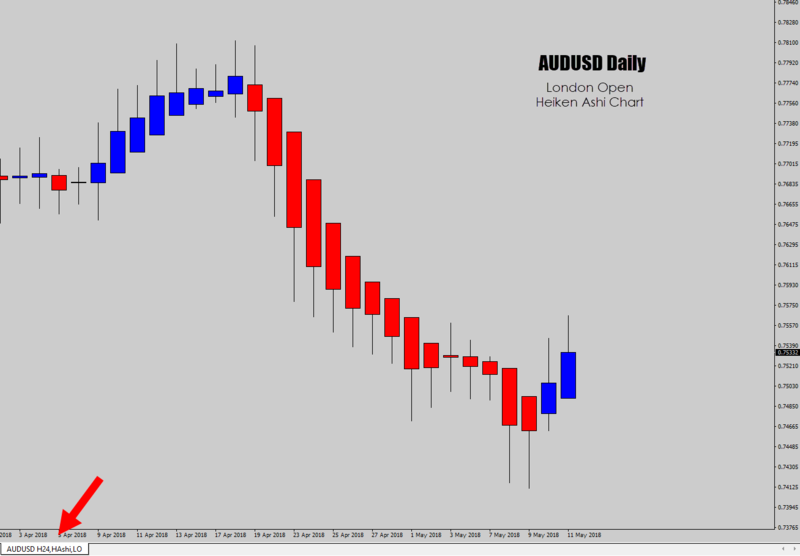 One common issue with other custom chart building tools is once you go to all the painful effort of: building your custom charts, setting up the charts the way you like them, and then plotting all your support and resistance levels, trend lines, applying your indicators etc... when you close the program down, and reload it next time, you've got to do it all over again! To put out this fire, the Custom Chart Builder has a workspace system built into it - allowing you to save/load your entire custom chart's state. 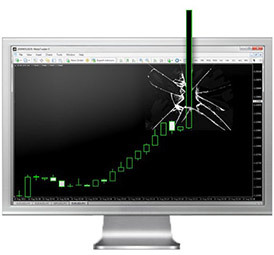 When you save your workspace, it remembers where you placed all those support and resistance levels, what color theme you had for each specific chart, and what indicators you were using (and their settings). Basically 'snapshots' each chart's setup. 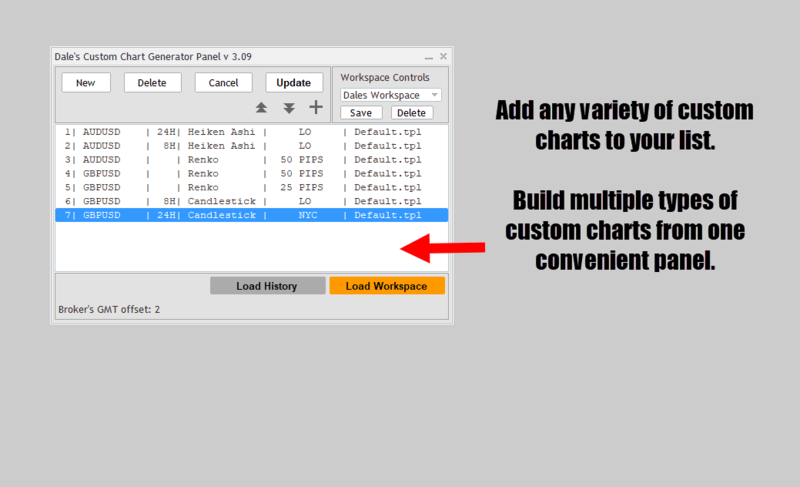 Next time you load up the Chart Builder, you can load your workspace, it restores everything exactly the way you left it! Custom Charts Behave Like Live Charts! A common issue with period converter scripts, or renko / heiken ashi chart scripts floating around, is that they might build one single chart for you fine, but it's static. In other words, the chart won't update with the market's new price tickets. It's too much of a hassle to regenerate a chart when you want it to be current! When you build a list of custom charts, not only does it build them for you, it also keeps pushing new market prices to all your custom charts, so they behave like live chart... yep WOWZER! 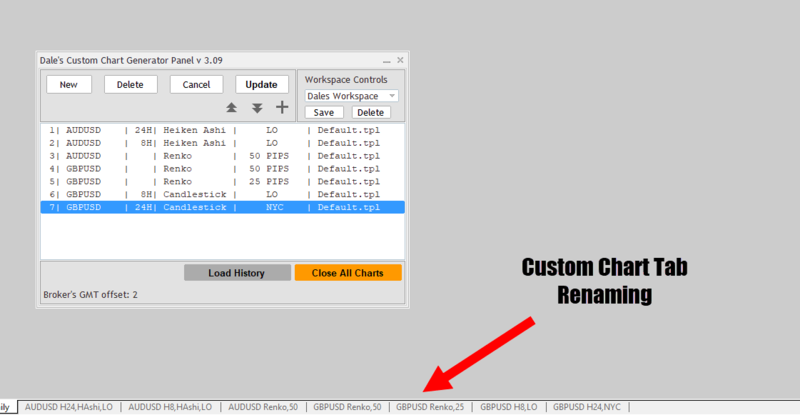 Imagine if you have a set of GBPUSD 10, 30, and 50 pip renko charts built. It is really frustrating to tell the difference between them visually, and the offline chart tab labels are no help. 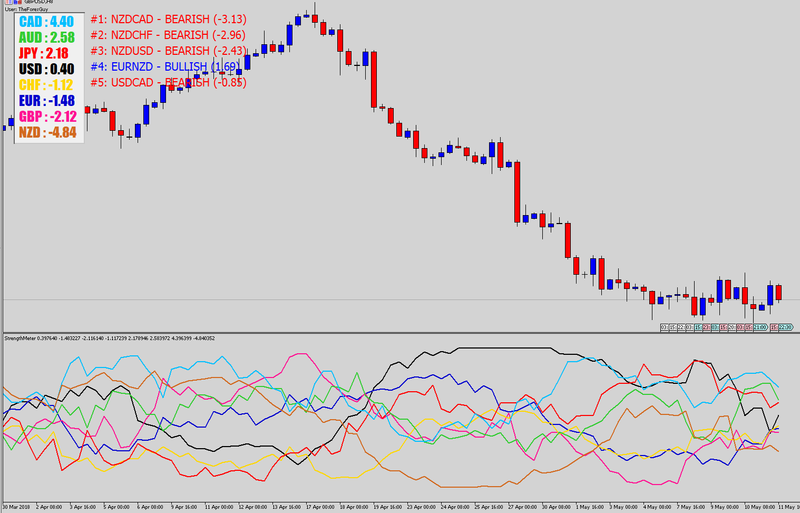 To get around this problem, we found an MT4 hack that enables us to rename the custom chart tabs to what we want! Now the custom chart tabs renaming feature makes it so much easier to tell exactly what type of custom chart it is! 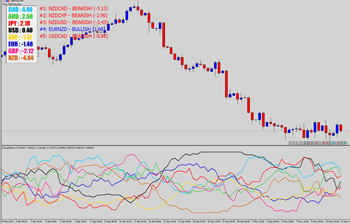 It is common to see some renko, or heiken ashi generators that won't create a custom chart, but rather just virtually draw artificial renko candles over the top of a standard price chart. This is basically trading with incorrect data, and destructive if you really want to trade with these custom price action formats seriously. For example; When you apply a moving average to a heiken ashi chart when is just an 'overlay' over the top of the underlying candlesticks - the moving average will be calculated off the raw price action underneath, not the heiken ashi candles. 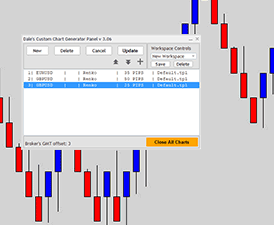 The Chart Builder creates real custom charts, where the raw price action in the chart is the renko, or heiken ashi candles. So, when you attach a moving average onto the Chart Builder's custom charts - the moving average will use the renko, or heiken ashi candles directly for its output. 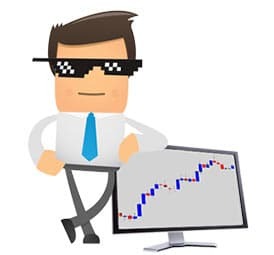 This isn't isolated to moving averages, but applies to all indicators, and even expert advisors - they will all be able to interface with your custom built charts directly. Inspired by War Room trader "Erebus" (The currency meter junkie). In the War Room social chat room, Erebus loves to share his analysis of the market from a more 'global' view by using using currency strength meters. I really loved the analysis he was sharing - approaching the market by which currencies are strongest/weakest at the time. Checking out some of the meters he was using, I noticed they were mostly using moving averages or percent change for the day. One weekend I decided to make my own currency strength algorithm that was based purely on price action alone, and not any external indicators. My currency meter is a work in progress, but the algorithm is working well. It's only the front end display side that could use a little decorating. But for now, you're welcome to try this BETA version which provides awesome market analytics. The few currency meters I've examined, occasionally seem to be locked to calculations based off a single time frame; Usually the daily chart where coders have made the tools looks for percentage change for the day. While this is fine, I also found it to be a little limiting. My currency meter will base its calculations off whatever time frame you attach it to. 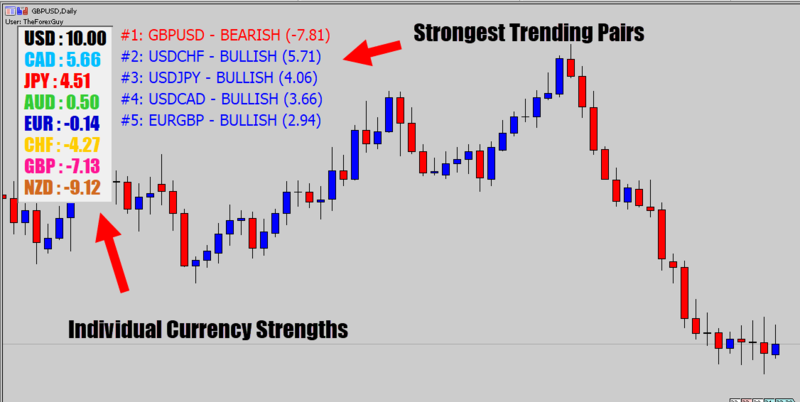 If you want a currency meter which will emulate the daily strength/weakness change of currency - then attach it to the daily chart. Want more frequent, and refined updates? Sure, attach it to something like the 1 hour chart. Need more of a medium term trend overview of the market - attach this tool to say a 4 or 8 hour chart. Another disappointing factor I kept coming across with other meters, is they were only using moving average values. This gave off the feeling that the tools were just glorified moving average change meters, so I decided to make my own currency meter engine. My algorithm does not use moving averages, or any other indicator feed. It exclusively uses raw price action to calculate the strength of a currency. 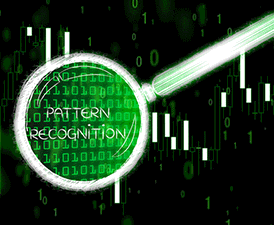 The algorithm also factors in momentum of price – for example, it takes in to consideration factors such as consolidation / stagnation and the rate at which currencies are converging or diverging from one another. The leader board ranking tables quickly show you which currencies are strongest/weakest. It also ranks which pairs are trending the strongest so you can add those to your watch list if you like. The data display UI is in BETA and in future updates I plan to give it a more polished look; however, the data output it currently provides is first class. Although the tool is in BETA, the data output it provides is first class. I noticed a lot of currency meters display a historical data view, so I added one to mine. Instead of just looking at a leader board charts of currencies, and only knowing what's strongest/weakest in the current moment, the historical graph communicates what the different currencies have been doing, and what transitions have been occurring in the market. This historical view can give you essential data for tracking a trend change. You can pick up when two currencies are changing direction, and look for trading opportunities on that specific pair. This tool will appeal mostly to currency meter junkies, and people who love analytics and data! What Are You Waiting For? Download All The Tools Here Now, Start A Free Trial Today!